The Norwegian mining company Intex Resources ASA has announced its plan to launch the first ICO for an asset-backed token. Initial Coin Offerings have become the new popular method for companies and startups to raise money. This year most prominent ICO was conducted by the Canadian-based messaging app Kik. The token sale by Kik, which is also called Kin, was able to raise the amount of $125 million in a matter of days. The Kin ICO was the first token sale that made by a big and very-known company in the tech space. Other big corporations have also planned their very own token sales. The famous online-retailer shop, Overstock.com, is planning to launch an ICO for its distribute ledger platform called tZero. The ICO participants and holders of the tZero token will be paid dividends by Overstock.com, similar to stock dividends. The Norwegian mining company Intex Resources ASA is also planning to conduct an ICO that will differ from other token sales. There have been several ICOs in the last couple of weeks that either don’t offer anything or sometimes pay dividends to the token-holders. But Intex Resources ASA is planning an ICO which will offer tokens that are backed by minerals. According to a recent article in Zero Hedge, the tokens will be backed by the company’s own iron ore and nickel ore reserves. As the Iron Ore asset owned by Ambershaw Metallics Inc. (AMI) is the closest to production the parties anticipate initial development of a Token with Iron Ore (or products derived thereof) as the underlying asset, in cooperation with AMI. The Company has 5% direct ownership and an option to acquire majority control in AMI. AMI expects to start concentrate production in Q2 2018. AMI estimates that in the initial mining phase it can produce approx. 330,000 tonnes of concentrate annually. The current sales price for 65% Fe concentrate is estimated to approximately USD 93 per tonne, with production cost of USD 35 and estimated freight cost of USD 15-20 per tonne. Currently, it is unclear if this new concept with asset-backed token ICOs will succeed and be able to fulfill its purpose. But experts and analysts believe that in the future, companies and startups will have to offer something additional for their ICOs in order to attract investments. What are your thoughts on this ICO? Do you think that asset-backed tokens are the future way for ICOs? Let us know in the comments below! Las Vegas, NV – Bitcoin and Cryptocurrency have become an investment phenomenon like never seen before. Early investors in Bitcoin are now millionaires. As the public hears more and more about these crypto opportunities by way of ICO’s, aka Initial Coin Offerings, the concept of crypto mining remains elusive to all but the savvy blockchain enthusiast. All that will change thanks to the launch of 803 Mine’s ICO Token Pre-Sale. When people understand the undeniable value and need for crypto mining, they understand the incredible upside potential it holds for investors, especially early adopters, who will realize a 100% discount right now. Who would rather own a few gold nuggets or own a share in the mine? Without a doubt, the launch of 803 Mine creates a new paradigm in cryptocurrency investing. It has already created a tremendous amount of interest by both institutional and private investors but is open to the general public. This is an unprecedented opportunity to be part of a USA based crypto mining operation that offers everything an informed investor could ask for. All mining proceeds from 803 Mine are deposited into “The Mining Fund”. The Mining Fund is a closed-end fund built on a revenue-sharing Ethereum smart contract. Smart contracts allow token owners to collect 50% of the monthly revenues from the 803 Mine’s production. 803 Mine’s 100% Token Bonus Presale Start Date: 10/1/2017 at 12:00:01 PM PDT, End Date: 11/1/2017 at 12:00:00 PM PDT. In-depth information is available on the 803 Mine website. Procrastinators will be passing up on a chance of a lifetime. JAKARTA, Indonesia – October 28, 2017 – Pundi X, a blockchain startup that aims to make cryptocurrencies an enabler of ubiquitous cashless payment environments across South East Asia, has successfully closed its pre-sale ICO with a total of 3,148 ETH, 613 BTC and 250,040 XEM – equivalent to 14,000 ETH or 4 million US Dollars – raised from 615 investors. The full public Initial Coin Offering (ICO) will commence on November 20, 2017. The pre-ICO cap for the Pundi X ICO is 5% or 14,000 ETH from a total ICO hard cap of 280,000 ETH. ETH is exchangeable with PXS Tokens at a rate of 1 ETH: 500 PXS. Renowned angel investors in the pre-sale ICO include David Lee Kuo Chuen and Lon Wong. Chuen serves as a Professor of Quantitative Finance and is an investor of ZCash, Qtum, TenX, InfoCorp, and OmiseGo; Wong is the President of NEM.io Foundation and CEO of Dragonfly Fintech. Nem currently ranks 7th in the Coinmarketcap. We are truly grateful to achieve our presale target thanks to the commitment of hundreds of enthusiastic retail investors. Such huge community support gives the team a great deal of pride ahead of the full public ICO, which we will see institutional investors getting involved for the first time. Pundi X aims to solve the last mile challenge for cryptocurrency purchases and sales. 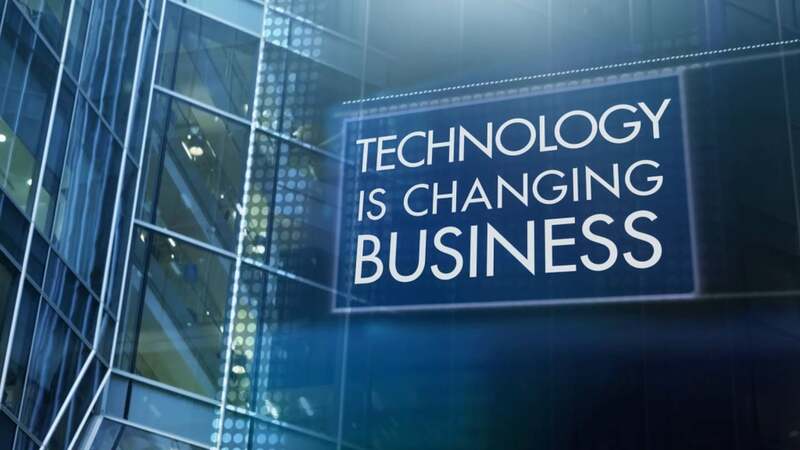 The company’s business builds on the existing Pundi-Pundi business model of cashless payment systems, which enables smartphone users to scan QR codes and makes instant payments in retail and restaurant outlets. Pundi-Pundi has already signed up more than 100,000 registered users and over 500 merchant partners in Jakarta in less than a year of operation. Funds raised by the sale of PXS Tokens during the ICO period will be used to purchase Pundi X POS devices that will be installed in retail outlets enabling consumers to quickly and easily buy or sell cryptocurrency using fiat money (Dollars, Rupiah, Baht, etc. ), bank card, mobile wallet or Pundi X Pass. The purchased cryptocurrency can be stored in a digital wallet or used to make cashless payments to top up phones, pay utility bills or buy goods, subject to local regulations in each market. Pundi X rewards qualified ICO investors with its world smallest cryptocurrency transaction devices. From now until December 20, throughout the remainder of the ICO, qualified investors with a 30 ETH or 1.5 BTC investment or more will each receive a Pundi X POS device. POS devices delivered under this offer will be shipped within 45 days after completion of the ICO process. The target for this ICO is to raise 280,000 ETH which will help fund up to 700,000 Pundi X POS devices to be installed over a three-year period in Indonesia, Singapore, Hong Kong, Japan, South Korea, Thailand, Malaysia, Vietnam and other Asian markets, in line with the Pundi X business plan. The cost of each POS device is approximately USD 300 and consequently, about USD 30 million will be spent on rolling out the first 100,000 devices. The remaining 600,000 devices will also be funded by sales proceeds from tokens and revenue from participating B2B merchants in the Pundi X ecosystem. Pundi X expects to generate a profit from services offered by POS devices including sales of cryptocurrency such as bitcoins. Pundi X is a blockchain startup that aims to make cryptocurrency an enabler of ubiquitous cashless payment environments across South East Asia and beyond. Pundi X POS enables shops, cafes and convenience stores to sell cryptocurrency to a broad cross-section of consumers and builds on the success of Pundi-Pundi which is one of Indonesia’s most popular QR code cashless payment apps. The Pundi X ICO will provide funding for as many as 700,000 Pundi X POS devices to be installed over the next three years across all target markets. For a detailed understanding of the platform and the team behind Pundi X, check out our website https://pundix.com. For media enquiries, please send an email to: [email protected]. Pundi X is the blockchain startup that makes it easier than ever for any store to buy, sell or accept cryptocurrency. JAKARTA, Indonesia – Oct. 25, 2017 – Buying and selling cryptocurrency has never been easier, with the innovative ICO from Pundi X now delivering the market’s first POS device free to early investors who contribute more than 30 ETH or 1.5 BTC from a single bitcoin or Ethereum address. From now until December 20, throughout the remainder of the ICO (including pre-sales and crowd sales), qualified investors will receive a Pundi X POS device which can be installed in retail outlets enabling consumers to quickly and easily buy or sell BTC, ETH, LTC, PXS and other cryptocurrency using fiat money (Dollars, Rupiah, Baht etc), bank card, mobile wallet or Pundi X Pass. The purchased cryptocurrency can be stored in a digital wallet or used to make cashless payments to top up phones, pay utility bills or buy goods, subject to local regulations in each market. The POS devices delivered under this offer will be shipped within 45 days after completion of the ICO process. With just two days remaining in the pre-ICO period during which investors will be rewarded with a significant bonus of 30% extra tokens, Pundi X is fast approaching its initial cap of 14,000 ETH with a total ICO hard cap of 280,000 ETH. We have seen a tremendous swelling of enthusiasm among investors in Indonesia and much of Asia and our pre-ICO has developed a powerful momentum of its own. Now is the time to reward those early investors and give them the chance to operate their own POS device in store so that local consumers can start to purchase cryptocurrency, or cost-effectively conduct financial transactions in retail outlets, without the obligation to pay high banking fees. Pundi X POS is the world’s smallest cryptocurrency device and is designed to sit conveniently on a retail counter in order to distribute cryptocurrency and enable consumers to conduct financial transactions. A multi-function device that is connected directly to the blockchain so that each transaction is recorded, Pundi X POS serves as the bridge that connects the real world and the crypto world. It also supports the delivery of financial services to the large numbers of ‘unbanked‘ citizens living across South East Asia. Pundi X POS solves the last mile challenge for cryptocurrency purchases and sales. We created an easy offline solution to make cryptocurrency accessible to everyone. […] For those who are interested in cryptocurrency transaction or want to facilitate cashless transactions, this is the perfect time to get the Pundi X POS device. For non-ICO investors, the company plans to start the first phase of a POS device pilot roll out in selected cities, including Jakarta, Bali, Seoul, Singapore, and Hong Kong. Pundi X will select applicants who own physical stores – cafes, restaurants, co-working spaces or convenience stores – in order to expand the offline sales network. This roll-out will start in early November and devices will be shipped to the applicant in the same month. Pundi X is a blockchain startup that aims to make cryptocurrency an enabler of ubiquitous cashless payment environments across South East Asia and beyond. Pundi X POS enables shops, cafes and convenience stores to sell cryptocurrency to a broad cross-section of general consumers and builds on the success of Pundi-Pundi which is one of Indonesia’s most popular QR code cashless payment apps. The launch of Pundi X POS is a stepping stone towards an ICO in late 2017 that will provide funding for as many as 700,000 Pundi X POS devices to be installed over the next three years across all target markets. For a detailed understanding of the platform and who we are, check out our website: https://pundix.com. It is a fact that UK banks are unwilling to provide their services to distributed ledger technology (DLT) companies. However, the Financial Conduct Authority (FCA) has questioned their official line of reasoning for this in a recent report. We all know that blockchain is an exciting technology with huge potential, hence many companies are building future development around its possibilities. The UK is positioning itself as a global hub for all things FinTech, with the creation of a digital sandbox. This is designed to promote and support startups in the DLT arena. The position of the UK banks would seem to be at odds with this remit though, with many such companies finding banking services denied or retracted. This has forced them to look further afield for banking services, to countries such as Gibraltar, Poland, and Bulgaria. The obvious upshot of this, of course, is that companies will consider locating elsewhere to more favourable jurisdictions. When you look on the dark web, everything there is being paid for with cryptocurrencies. You don’t know who is transferring money in and out. A brilliant point well made… ahem. But don’t think that we can’t see what you did. Everything on the dark web being paid for with crypto does not suggest that all crypto is used on the dark web. The vast majority of digital currency available patently isn’t. Deliberately using flawed logic in your argument does not validate it. I see no problem with the banks refusing service to dark web companies based on this statement, but denying service to a legitimate DLT company for such reasons is ludicrous. Anyway, he concludes with the suggestion that cryptocurrency might go to Iran, and if his company is involved, then he could be shut down. I’m not sure if he realizes that sanctions against Iran have been lifted or that UK banks are involved in far worse than cryptocurrency. Arms deals to countries who will eventually use them against UK soldiers, anyone? …effective money laundering risk management need not result in wholesale de-risking. work to ensure that the UK financial system is a hostile environment for money launderers. Banking ‘business as usual’ then? Pretty much. Traditional financial institutions are running scared of the young FinTech upstarts and trying to hobble them before they can walk. When will they learn that they can’t beat us and, hence, should join us? Be thankful that these companies still need traditional accounts, because that won’t be the case for ever. And when the people don’t need you any more… you’re dead! 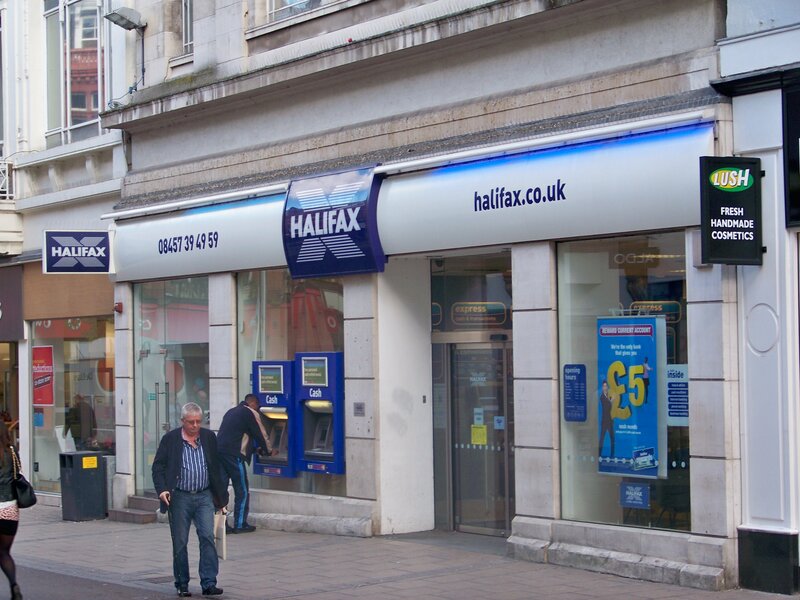 What do you think about UK banks denying services to DLT companies? Are their concerns legitimate or are they blowing smoke? Let us know in the comments below. Images courtesy of Wikipedia, Vimeo, and Wikimedia Commons. London, UK – Bank4YOU Group will launch an ICO campaign during the last week of October in order to accelerate the goal of scaling its service rollout across Africa, Asia, and Latin America. An indicative estimate for the total funding requirement is $50 million, which can be used to support the company’s expansion into new markets and to develop enhanced services (including consumer micro-loans and incorporation of Bitcoin or other cryptocurrencies within its money transfer services). The World Bank estimates that two billion people are without access to formal financial services with more than 50 percent of adults in the poorest households being unbanked. […] As a company, we recognize that financial inclusion is the main point to reducing poverty and boosting prosperity. With our new blockchain-enabled Mobile Money Remittance Service (MMRS) we intend to play a very active part in making this happen. Agar will present the demo version of the product at Finovate Asia 2017 in Hong Kong during the ICO campaign. The ICO campaign will begin on 26 October and end on 16 December 2017. Within this project, the company will issue 300.000.000 BFY tokens of Bank4YOU Group. The referral program, along with the bonus system, can be found on the company’s ICO website (www.bank4you.io). Follow us on Medium, Twitter, Facebook, Instagram, and Slack. After the successful completion of the BMCHAIN platform ICO, during which $1,564,897 was collected, Business Molodost company, being actively involved in the launch and development of the project, announced the start of their own business courses sales for BMT tokens with a discount of up to 50%. By connecting BMT as payment for more than 30 educational courses, which are annually being passed by 45,000 people, it is planned to create a positive demand for BMT tokens and test the model of its use as a calculation unit for the subsequent engagement of new partners and services. In order to simplify the process of token circulation, developers are planning to implement their own solution, which will allow token purchasing without the technical difficulties of understanding and interaction with exchanges. It is already known that Coffee and the City, VillaCarte, Kinokwest, Parsit, and Art Estate companies have announced their intention to accept BMT tokens. “We’ve invested in BMCHAIN at the initial stage. This platform will help us to reach a new level of transparency in relations with customers, friends, partners and guests, “says real estate manager at Villa Carte company, Egor Matyukhin. Within a month, a number of agreements will be signed with partners from different areas offering offline and online services, such as coffee houses, real estate agencies, trading platforms, IT companies, organizations offering rental services, stores, and schools. A special section will be created on the site bmchain.io, in which you will be able to see the projects ready to accept BMT. According to the devteam announcement, the BMCHAIN crowdsale can be considered successful and the funds raised allows implementation of the primary plan for the project development. The developing process of the future platform, which can be monitored through the weekly reports published by the PR department, is on schedule and even ahead of the road map. A basic version of the browser client of the social media platform has been implemented and the functional of posts creation, commenting, voting, and charging tokens for writing materials is ready. The devteam is working on addition of mechanisms, associated with the crediting of reputation and BMT tokens, to the core of the system. In order to increase the circulation of BMT tokens after the listing on HitBTC, promotion in media with a wide target audience is planned, as well as negotiations with other large sites and experts in this segment are being held. As a part of one of the concepts aimed at creating a viral effect, it is planned to launch a flashmob of several thousand people, as well as organize courses of “Real Blockchain” to teach a wide audience how to use cryptocurrency and the advantages of blockchain technologies effectively. The devteam from the Analytics Insight company, which recently have launched its own project to establish blockchain solutions for launching ICOs, completed the work on the constructor, which will allow any user to create and release his own token and launch an ICO in 3 steps. This solution is planned to be integrated into the platform, together with other technological products, to create a powerful complex system. Belgrade, Serbia — GameCredits, a Blockchain company driving innovation in the games industry, today announced the company has signed a deal with Unity Technologies, creator of the world’s most popular creation engine, that will bring the benefits of blockchain to more than 3 billion devices and millions of game developers worldwide. Unity Technologies has proven once again that it’s got its finger on the pulse of the gaming industry by throwing its weight behind blockchain. The world’s largest game-development software provider has powered up its ‘engine’ by teaming up with GNation and its digital asset, GameCredits, to usher in a new era of gaming. Recognized by Unity as having the world’s strongest gaming digital asset, GNation is now in the company of other Unity partners, like Facebook, Google, Microsoft, Intel, Samsung, and Sony. “Unity is known for aggressively adopting new technologies that democratize game development, solve hard problems and enable success for developers. With GameCredits, we intend to bring about a paradigm shift in the gaming industry. Blockchain solutions will help disintermediate game publishing and give better returns to creators,” said Hubert Larenaudie, President Asia Pacific, Unity Technologies. “Our partnership with Unity Technologies is a major step forward for both the gaming industry and the blockchain world. With GPlay and our eSport platform, we are bringing the benefits of blockchain and digital assets to the largest global audience yet, enabling true mainstream adoption of these technologies for the first time,” said Sergey Sholom, GameCredits CEO and GPlay President. You don’t have to be a genius to work out that the backing of a company that influences 80% of the mobile and 50% of the desktop gaming market is huge news for the digital asset market. For a company that has previously broken records with its MobileGo crowdsale in early 2017, it’s just another step towards a bright future. Despite the fact that this partnership will boost their digital asset’s market value, the founders of GNation consider this as a matter of secondary importance. As ex-professional gamers, eSports organizers and game developers they have met and dealt with industry problems on all possible levels. Now they want to solve them using the power of blockchain. Everything GNation has achieved so far is just a fraction of the company’s overall ambitions. Over the next two months, the company will announce new alliances and a host of new blockchain products to revolutionize the gaming and digital asset worlds. Although the collaboration with Unity marks a big day for the world’s youngest nation, it seems that it is only one step in their swift rise to the top. In September this year, GNation joined Hyperledger – becoming the first digital asset firm to team up with the consortium – and has promised to announce a partnership with another established tech giant at the end of this month. Perhaps one of these companies will get a safe pass to future, while the other will benefit from walking the bridge of tradition. We will only know after the partnership is officially announced. For now, at least one thing is clear: GNation is much more than just another gaming community. GameCredits is an international, multicultural company striving to transform the gaming industry with its GameCredits digital currency (GAME) and a suite of other blockchain-based products. Founded in 2016 in Belgrade, Serbia, GameCredits now employs a team of more than 100 people across 10 offices in five countries. For more information, visit www.gamecredits.com. 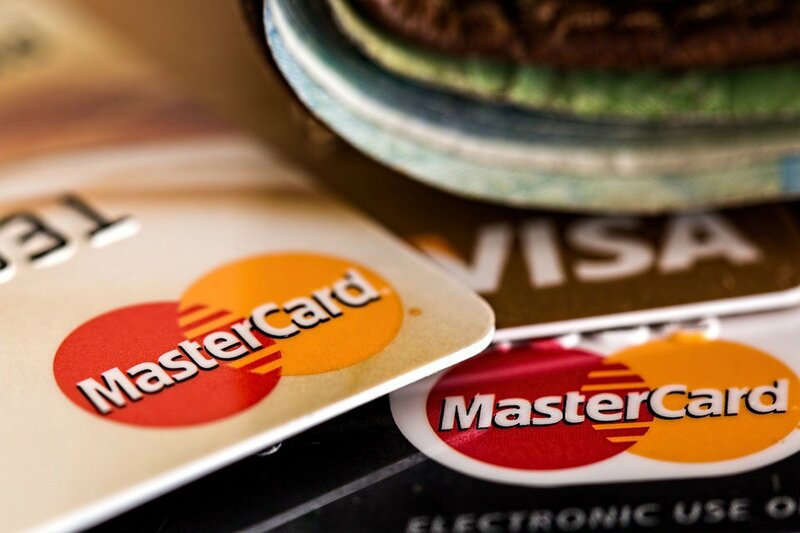 Mastercard has opened up their own blockchain to allow payment transactions to be carried out between selected banks and merchants, but this process uses fiat currency and not Bitcoin or other cryptocurrencies. Quite a few companies have taken a keen interest in what blockchain technology has to offer, and one of these corporate entities is Mastercard, the massive credit card provider. 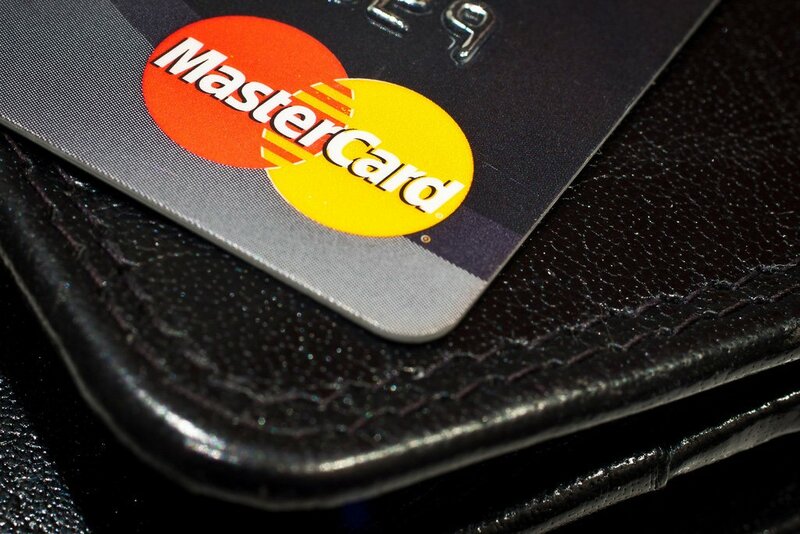 Mastercard has spent the last few years developing its own blockchain, and now the Mastercard blockchain has been opened up as an alternative method of paying for goods and services. The major difference found in the Mastercard blockchain is that it does not use its own cryptocurrency. Instead, it uses real world money. The Mastercard blockchain is now open for specific banks and retailers to use as a payment processing system. So far, participation in this blockchain is by invitation only. The last week has been a busy one for Fortune 500 companies and blockchain technology. IMB opened up their own blockchain earlier in the week. Probably the most intriguing aspect of the Mastercard blockchain is that it does not use its own cryptocurrency, which is something that even the IBM blockchain does. We are not using a cryptocurrency, and we are not introducing a new cryptocurrency, because that introduces other challenges—regulatory, legal challenges. If you do a payment, then what we can do is move those funds in the way that we do today in fiat currency. Some people may look at the Mastercard blockchain and shrug, but there are some factors in why it could be very successful. The first such reason is that Mastercard is lord and master of a vast financial empire, so to speak. It has a settlement network that counts 22,000 banks and financial institutions from all over the world. Few other entities have such a global reach. Another important factor is that the Mastercard blockchain only uses fiat currency, which reduces costs as there’s no need to convert one form of cryptocurrency into another and then, eventually, cash. Overall, this is an interesting development. Could the lack of a cryptocurrency tie-in fire a shot across the bow of other blockchains? One also wonders how the energy use for a single transaction on the Mastercard blockchain compares to current credit card transactions and Bitcoin. A Dutch bank recently reported that the average energy cost for a Bitcoin transaction was 200kWh, and the cost for an Ethereum transaction was 37kWh. By comparison, a credit card transaction only incurred an energy cost of 0.01kWh. Do you think the Mastercard blockchain will have a major impact? Does the fact that it does not use a cryptocurrency have long-lasting ramifications? Let us know in the comments below. Images courtesy of Wikimedia Commons, Pixabay, and Flickr.